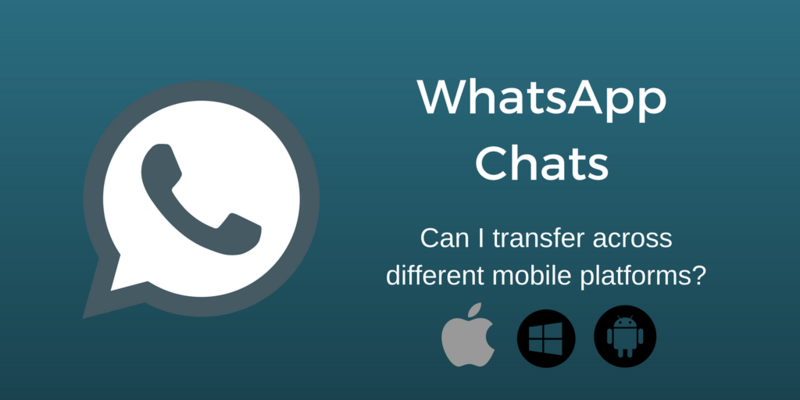 Answered - Transfer WhatsApp Chats/Data from Android to iPhone? Are you moving from Android to iPhone? You’ve been an Android user for years and have built a long WhatsApp chat history over the years. Now, you’ve decided to try a different OS, i.e., iPhone. Or are you moving from an iPhone to Android? That is you have built a long WhatsApp chat on your iPhone and now want to try out Android? 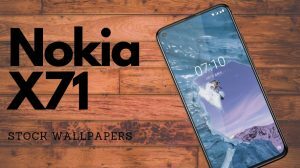 Or or.. are you the lost one with a Windows Phone who is now amongst the last few to ditch the platform and move to Android or iPhone? Read on to get to know if you can keep your chats. Is it possible to move WhatsApp chats across platforms? I wish I could say yes, but unfortunately, there is currently no way that you can migrate your chats to your new operating system. It is same for all the possible combinations, no matter if you move from Android or move to Android. WhatsApp does not offer any way to import the chats across platforms. If you search on Google, you will find many results for so-called step-by-step guides to move WhatsApp chats to your new OS. The bad news is that none of them works because WhatsApp does not officially support such a process. If you have found a guide but failing to make use of it, it is because it cannot be done. I know many who want to explore other platforms, but their WhatsApp Chats are dearer to them than the excitement of using a whole different device and interface. If you have already made a move, then here are a few things which you can do to avoid losing all the chats. WhatsApp takes a daily backup of the chats and stores them locally. It also uploads the same to the cloud backup account (Google Drive for Android and iCloud for iPhone and OneDrive for Windows Phone ) if cloud backup is enabled. The backup is encrypted and can only be opened by WhatsApp. You should ensure that this chat backup stays on your cloud drive. How to enable cloud backup? Windows Phone – Open WhatsApp settings > chats and calls > Tap backup. WhatsApp allows the user to upload chat messages as a text file on all of the platforms. You can export important chats using this feature to keep them safe and to refer to them in the future. You can also export media along with the chats. So, there’s quite a bit which you can keep. Long chats cannot be exported completely due to email size restrictions. Emoji(s) will not display in the text file. Media will not appear at the place it was sent in the real conversation. 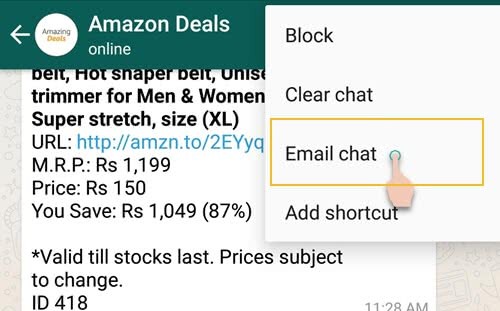 How to export WhatsApp Chats via email? Open WhatsApp chat which you want to export. Choose Options > More > Email chat. Then choose the email application and send it to yourself or your friend’s email address. Export Limit – It will ask if you want to include media or not. Your decision will impact how many chat messages get exported. If you choose to export media, then the email backup will consist of a maximum of 10,000 chat messages. On the other hand, if you skip media, then you can get a backup containing as many as 40,000 chat messages. 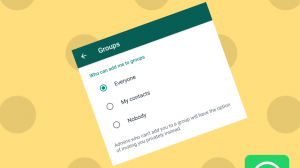 Tap the contact’s name or group subject in the navigation bar. Scroll to the bottom and tap Export Chat. Select if you want to Attach Media or email the conversation Without Media. The restrictions from Android do not apply here. Your entire chat history can be exported together with the media files. On your Windows Phone, open the WhatsApp chat to be exported. Tap on more (3 dots) and choose info or group info. Tap again on more (3 dots) and choose email chat history. It is not possible to export media from Windows Phone devices. So, you are suggested to manually backup all the media from the “photos” before removing WhatsApp. You cannot export the entire chat history in case the conversation is very long. In such a case, you will need to manually delete the messages which have been exported and then rerun the export. Tip: You can view your exported chats (boring text file) in a well-formatted conversation style by using WA Reader. WhatsApp Web is a web service which you can use to view your WhatsApp chats on a PC. The service only mirrors the chats from your phone. So, only the chats which exist on your phone will be shown on the PC. Launch WhatsApp Web and open the conversation whih you want to backup. Keep scropping upwards to make the service fetch older and older messages. Select the messages and copy it to your PC’s clipboard. Paste it in a text file (Notepad/Word) and save it for future referencing. Tip: You can use WhatsApp Parser to export the copied conversation to an excel sheet. You can also decide to take screenshots of important parts of a WhatsApp conversation. It is not practical for long conversations, but in case you have something important then it is a good idea to preserve it with a screenshot. On some devices, you can even take long or scrolling screenshots. It will help you capture a considerably longer conversation in 1 screenshot. 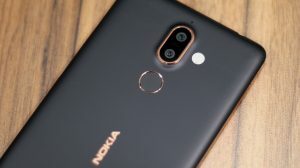 Do note that these longer images are not ideal for sharing over messaging apps as they tend to compress the images to reduce the size, hence resulting in a loss of quality.